I work for the Enterprise Application Support Team at the Division of Information Technology here at the UW-Madison. It’s a long title for an IT nerd that supports the new HR system on campus, along with other systems on campus, and I love doing NetID password resets in my spare time! What motivated you to study this language? German classes were very large so I wanted to pick a language that would have a smaller class size with a more personal, one-on-one feel. I attended Dutch, Danish and Norwegian courses before I settled on Danish due to my Scandinavian heritage and Denmark’s connection to Iceland. I had always been fascinated by Iceland and went there in 2006. I fell in love with the language and culture and jumped on the opportunity to take Icelandic for a year when we found a Fulbright scholar who was able to teach it. Studying languages has always been a passion of mine, and learning both Icelandic and Dutch has increased my knowledge of English as they all reside in the same Germanic language tree. 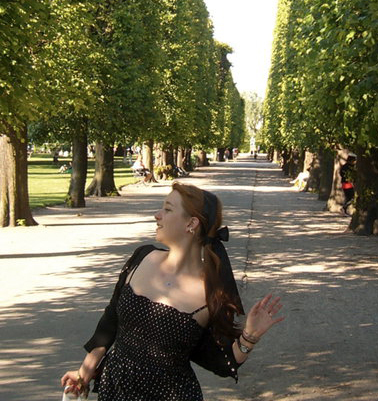 Living abroad in Denmark for a year was one of the most incredible times of my life, and the opportunity to live and study in another country is completely invaluable to one’s personal development. What do you remember about your UW-language classes? How were they different from other classes you took? I attended the fall semester at the University of Aarhus and the spring semester at the University of Copenhagen. I was fortunate enough to go in 2008, the first semester we offered a study abroad option in Aarhus. Both cities were amazing and the friends I made and experiences I had will remained unparalleled! I would encourage anyone, in any major, to consider studying abroad as it is really a one-of-a-kind opportunity! The conversation tables were always fun, getting to know your classmates and students visiting Madison from Scandinavia. We always had fun events throughout the semester, too, such as movie nights and dinners at Nete’s house! I continue to get updates from the Scandinavian Studies department and plan on attending future lectures, movie nights, and perhaps even conversation tables when I am not so busy with work. It is great to still be on campus, though, and still feel like a part of the department as an alumna.